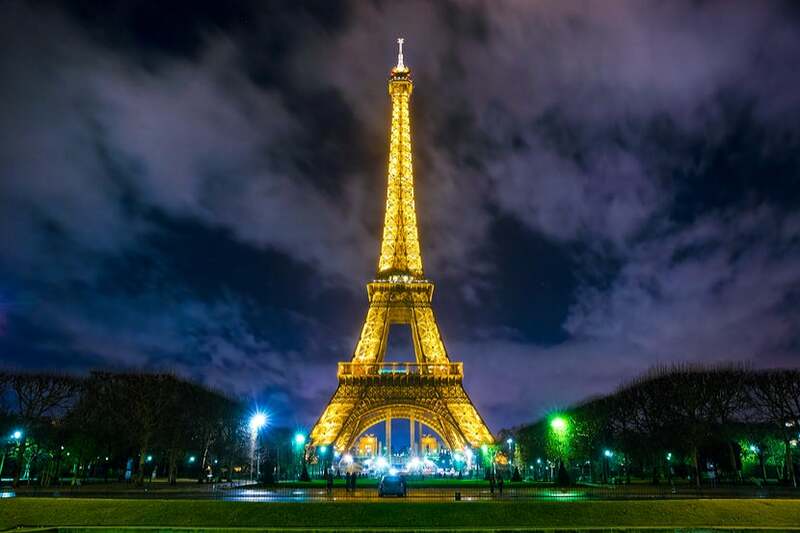 Whether you’re a student studying abroad, or simply an avid TPG reader who’s taken advantage of one of those amazing fare sales to Europe we’ve been seeing recently, Paris is a hot destination. Between the flights, hotels and transportation around the city — oh, and don’t forget the food and drinks — costs can add up pretty quickly. Here, I’ll share several tricks I used while I was studying in Paris for 10 weeks that helped me make sure I was able to do everything I wanted without breaking the bank, as well as a few places that are definitely worth your money. Paris has one of the most thorough subway systems of any major city. 16 Metro lines connect to five RER commuter lines and nine light-rail tram lines, making every block of the city easily accessible via public transit. The paper tickets you can buy at any station are easy to lose and confusingly priced, but if you plan ahead and order a Navigo Pass, you’ll watch your savings rack up — you can put an unlimited one-week pass on this plastic, chip-enabled card for just 22.15 euros (~$23). As a point of comparison, my friend who didn’t have a Navigo Pass spent more than 40 euros (~$42) on Metro tickets over the course of the five days he was there. Just don’t forget that trains stop running around 1:00am, so make sure you have a plan to get home if you’re staying out late, or else you’ll end up emptying your wallet for a cab! And if you do use the paper tickets, don’t toss them out once you’re past the turnstiles — some stations require you to use them to leave as well as enter. 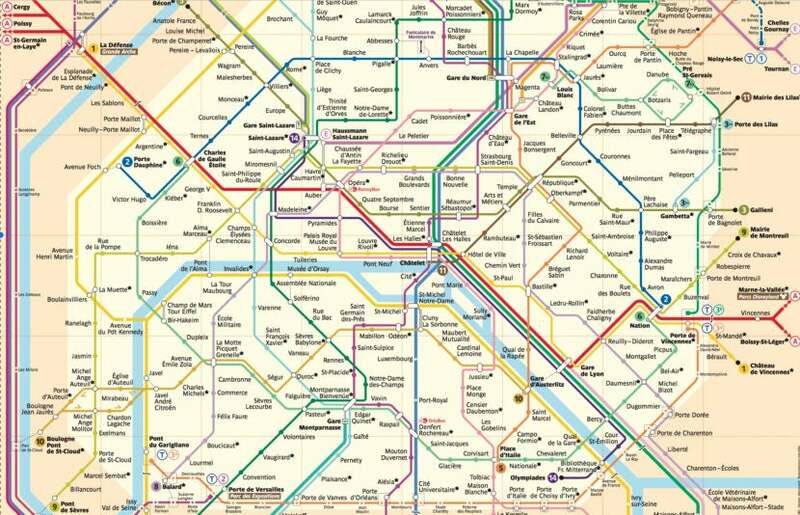 With 30 lines to choose from, you’ll find zipping around Paris to be quite convenient. Image courtesy of the Régie Autonome des Transports Parisiens. Fancy meals are fun, and you should take every opportunity to try the exquisite Parisian cuisine. But that doesn’t mean you need to spend big every time you get hungry. Enter Lidl, the German grocery chain that turned into my second home during my study-abroad program in Paris. The ability to buy a week’s worth of groceries for the equivalent of $25 was amazing, but I was usually content to pick up a fresh baguette and a few pastries for about 50 cents each, maybe a one-euro (~$1) bottle of wine and call it a day. It gets the job done, and you’ll learn pretty quickly that there’s no such thing as bad bread in Paris. 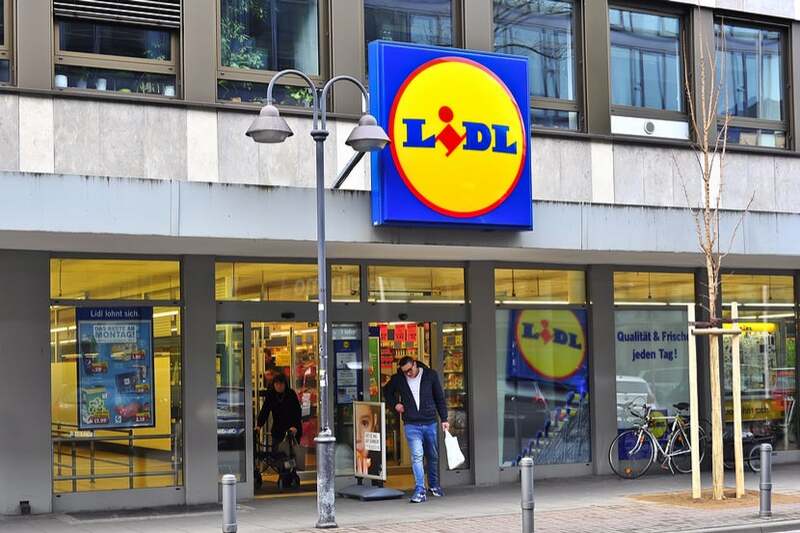 Stay tuned: European discount grocery chain Lidl is set to open its first US location in 2018. Let’s just pray they bring the baguettes with them. Image courtesy of Shutterstock. Why Spend $50 on a Steak When You Can Spend $20 for Two? People give me a funny look when I tell them that my favorite steak place in the world is a Parisian chain restaurant with only one item on the menu, steak frites. But how much do I love Le Relais de l’Entrecote? Enough that I went back to Paris this summer just for a steak — or at least that’s what I told my waitress. Sometimes the best food is the simplest. You walk in, sit down and the server will simply ask you how you want it cooked. There are no menus to distract you, just a wine list — I highly recommend the Relais house label — service is faster than you can imagine and they’ll break out a glorious plate of steak frites covered in a delicious green butter sauce. Wonderful, right? Sorry to spoil the surprise, but just when you think it’s done, there’s more. Instead of clearing your empty plate, the waitress will bring out the second half of the steak that they’ve been keeping warm for you back in the kitchen. That’s right, 20 euros buys you two full steak dinners for the price of one. Want a drink after dinner? Of course you do, it’s Paris! While it may not be the cheapest place around, stop by La Coupole right across the street from Le Relais de l’Entrecote on Boulevard Montparnasse. Over the years, this bar-turned-restaurant has served as a watering hole for some of the most famous European writers and artists of all time, including Albert Camus, Salvador Dalí, Pablo Picasso and Jean-Paul Sartre, to name a few. And speaking of famous European artists… So poorly understood by those who’ve never tried it — thanks to the fact that it was long illegal in the US and much of Europe — absinthe is more readily available in Paris. While many places will tout their absinthe cocktails, it’s best experienced by itself. Only a handful of bars serve it the correct way, with a slotted spoon and sugar cube cradled under a tediously slow drip of ice water to create the perfect drink. A few blocks from the Bastille metro stop in the heart of one of the city’s best bar districts, Le Fee Verte will give you the authentic experience you deserve — you can even grab a quick dinner at any of the nearby restaurants and keep hopping around the neighborhood if you’d like. This is the perfect place to start or end your night, or else makes a great stop in the middle of it. What do Marilyn Manson, Oscar Wilde, and Vincent van Gogh all have in common? 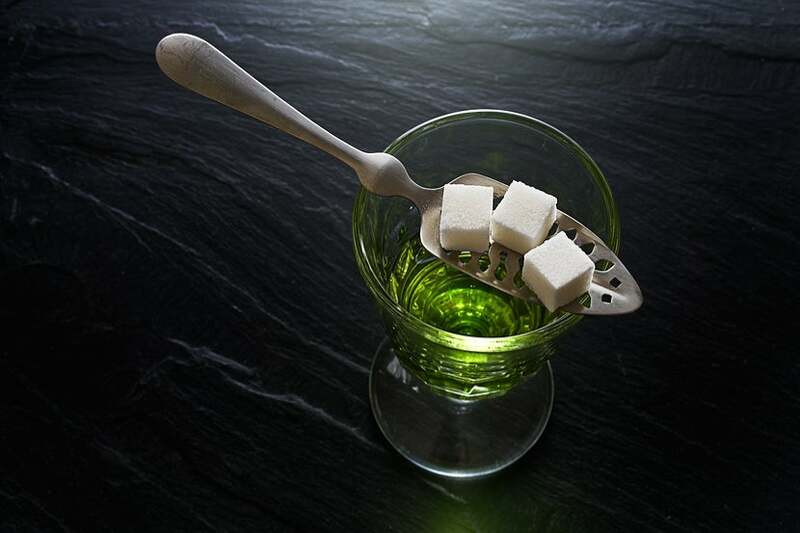 A deep, deep, deep love of absinthe. Image courtesy of Shutterstock. I don’t blame you if you’re standing at the bottom of the Eiffel Tower thinking, “What could I possibly do to save money here?” Aside from scoring a student discount, for which you’d need either an EU passport or a Parisian student ID, there’s not much to it other than buying your ticket and going up to the top. But less than 100 feet from one of the largest tourist traps in the world is my favorite spot in the city. Grab a bottle of wine and a blanket and find a spot on the giant National Mall-like grassy field that stretches southeast from the tower (i.e., the Champ de Mars). Here’s the trick: Dozens of vendors will be wandering around selling wine and beer, and while a 10-euro (~$10) bottle of French wine might sound like a steal to an American tourist, it’s a blatant ripoff in Paris — you can stop by a Lidl store (mentioned above) before you go, or really any other grocery store, and buy 10 bottles for the same price (although if you’re going to do that, I’d suggest sharing). I’ll take this view over the one from the top any day. Image courtesy of Shutterstock. What really sets these crepes apart is the people who make them. Grab a steaming cup of spiced tea on the house while you wait for your food, and strike up a conversation. Over the 10 weeks that I was fortunate enough to live right next to this stand, I watched the owners help a man fix his bike after it was hit by a car, assist my friend in replacing his phone after it was stolen and find complete strangers places to stay during their travels throughout Europe. It’s easy to see how genuine they are, which is why when I was lucky enough to go back to Paris this summer, my first point of business off the plane — yes, at 8:00am — was a crepe there. Once you grab your food, walk back across the street and check out Parc Montsouris behind the train station. It’s an incredibly underrated patch of greenery, complete with running tracks, a beautiful pond, and plenty of space to relax and step back from the hustle and bustle of the city, if only for a minute. I have a pretty convoluted relationship with the city of Paris. While my program was eye-opening in ways I’m still only beginning to understand, it also coincided with one of the worst terrorist attacks Europe has ever seen. When it was time for me to come home just a few weeks later, the city was still in a state of limbo and I didn’t know if things were going to return to normal or if fear and hatred would fill the void. And while time has done wonders to heal the physical and emotional wounds that were inflicted that day, there’s still a long way to go. So whether this is your first time visiting this magical city, or like me, it feels more like you’re going home than going on vacation, go out of your way to spread some kindness. Do a good deed, help a stranger, buy a homeless child a meal. The city needs more love, and so does the world. Do you have any tips for saving money in Paris? Let us know, below. Featured image courtesy of AleksandarNakic via Getty Images.